July 12, 2018 – Just back from a one week family vacation where we visited some remarkable parts of our country. The week in Napa was a wine and food centric five days, amidst an agricultural heaven featuring the freshest local fruits, vegetables, cheese and wine. Within this incredible area of natural beauty and abundance, was the visible reminder of the charred trees and lonely foundations of homes burned in last summer’s wild fires. Even more troubling were current fires just north of the area. Despite all this area has to offer, nothing seems to be able to control the recurrent fire hazard triggered by human action coupled with drought, which many consider a component of our looming environmental crisis. We next visited Yosemite National Park, a place many consider the most physically beautiful place in our country. John Muir, Galen Clark and their group of forward thinking environmentalists, long before it was popular to be one, persuaded President Abraham Lincoln to set aside this area including the Mariposa Grove of sequoia trees in a California Trust, preventing development and preserving the area. The waterfalls and views were extraordinary, but the charred trees from prior fires were more than a bit troubling. We were told nature has always experienced burns, as almost a natural way of nature’s survival of the fittest. The diversity of the visitors from all over our country and world was exceptional, very much like the Miami I have long called home. The final leg was a quick visit to Rapid City, South Dakota to check off a long-standing bucket list site, Mt. Rushmore. 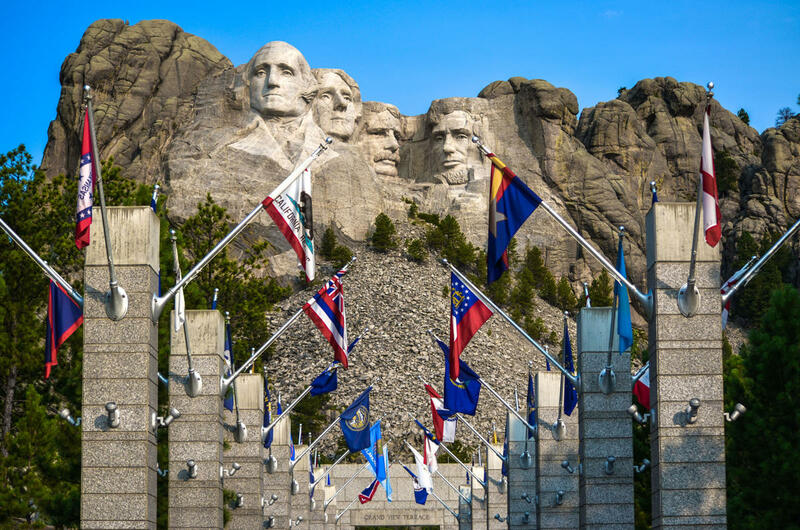 Four unique giant head sculptures cut out of a granite mountain featuring George Washington, Thomas Jefferson, Abraham Lincoln and Teddy Roosevelt. The project was entirely privately funded with money raised by local people, and now run by the National Park Service, but still with private funding. Well there was not much diversity here, but it was an amazing example of how one person dreams an idea, raises the capital to do it and then make sure the governance is in place to preserve it going forward for generations to come to admire. As we headed home at the end after enjoying the company of a lot of family members, I could not help but marvel what a remarkable country of individual dreamers we Americans have been, envisioning big ideas and projects for the future, and having the boldness to execute our plans, making them happen. The fire damage we witnessed, may we’ll be what happens if we are not careful with the precious resources of our republic. All we need is a little care to preserve what we have, to enable us to make the future better.